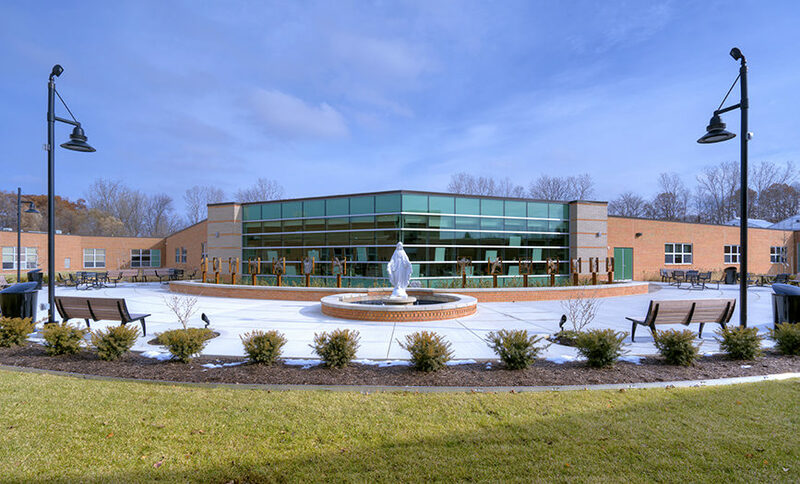 TMP developed a Master Plan for facility enhancements at this private preparatory school in 2015. Part of that Master Plan was the addition of a one-story science, technology, and arts wing that would provide for the needs of students today and into the future. TMP was chosen to design this wing that houses collaborative learning classrooms, a greenhouse, and a robotics lab, as well as science classrooms and fine arts studios for both middle and high school levels. Creating a cutting-edge facility that focused on group work and hands on learning was important to the client in meeting the educational goals of their students. TMP brought this into the science classrooms by creating spaces that allowed for small group collaboration and flexibility. The new collaborative learning classrooms are designed to be fluid spaces that focus on student comfort and the ability to complete group work easily. The fine arts studios are specifically for visual arts projects. 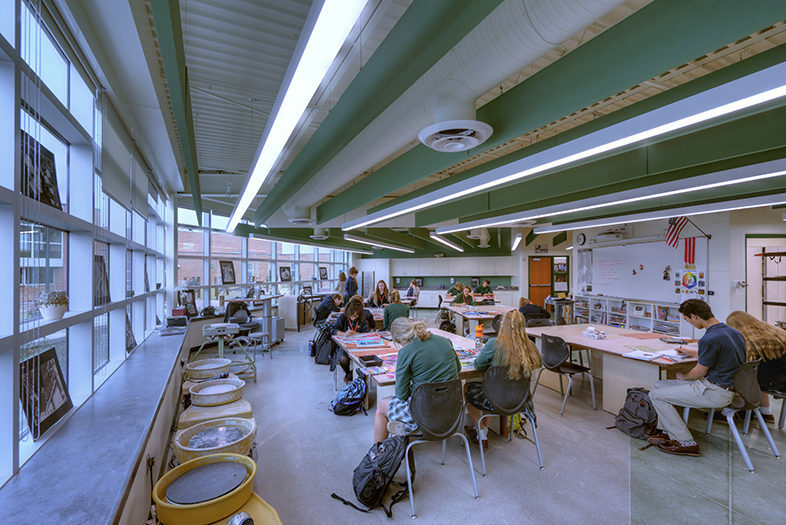 The studios take advantage of natural light with windows overlooking the courtyard and lots of wall and floor space will give students the tools they need to create any projects they can imagine. The high school studio also includes a kiln room and a gallery where student work can be displayed. The greenhouse is the central feature of a new botany program that teaches students using hands on experience. 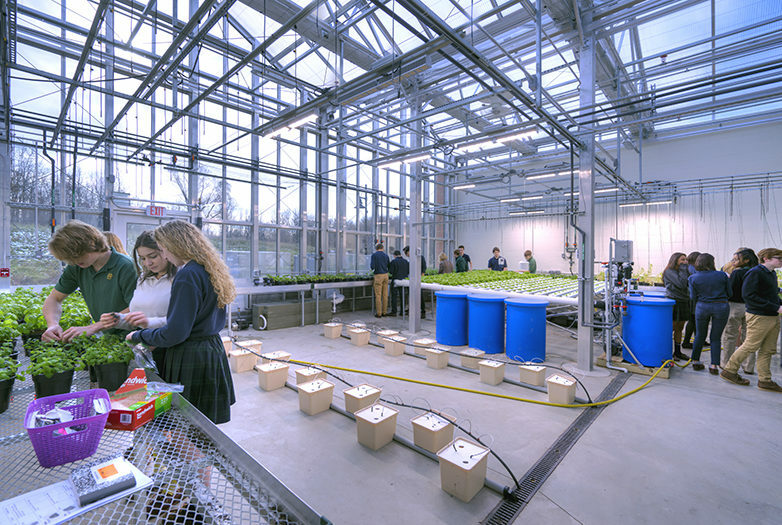 The greenhouse features 3 hydroponic growing systems, 1 traditional growing system, and outdoor gardens and teaching stations. 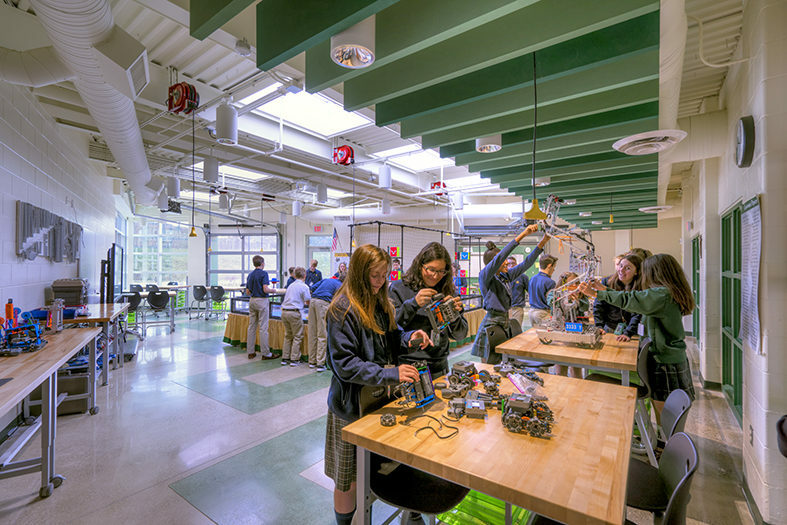 The 1,230 SF robotics lab was of special importance as Notre Dame’s robotics programs are world-ranked. The lab features indoor and outdoor workspaces, as well as mobile work stations that allow for computer-aided instruction. When additional space is needed, a glass overhead door can be opened to allow robotics work to expand into an adjacent 804 SF classroom. 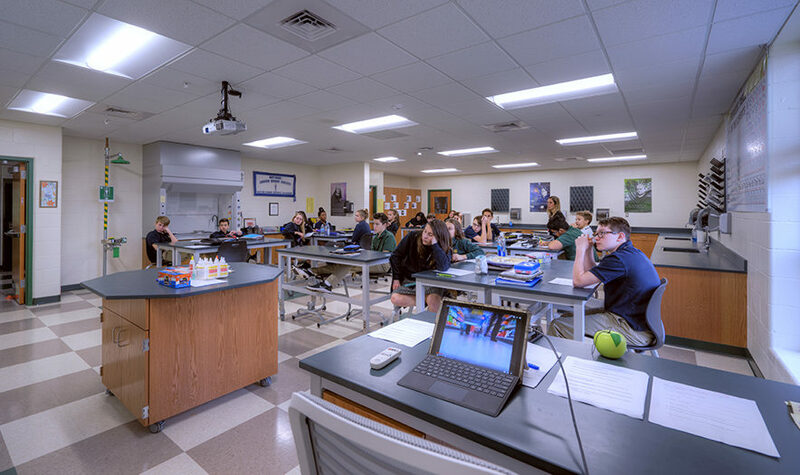 Creating a cutting-edge facility that focused on group work and hands on learning was important to the client in meeting the educational goals of their students.